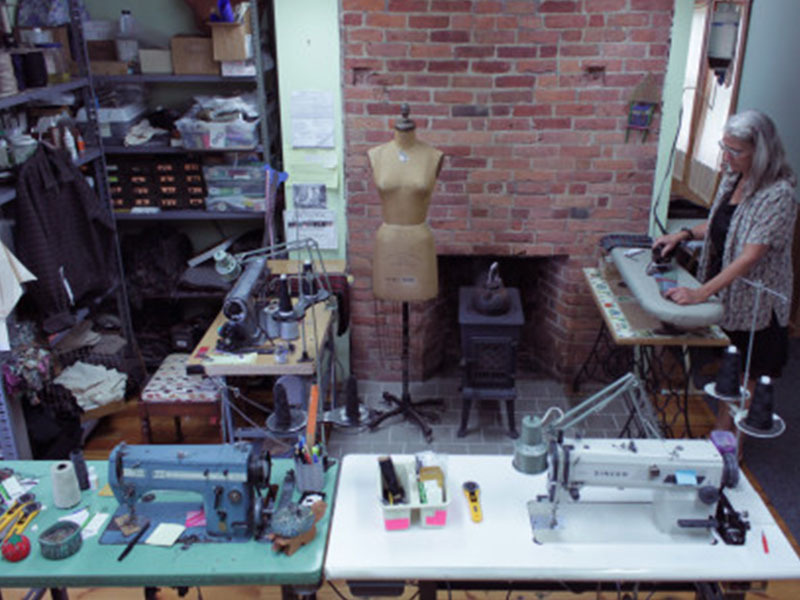 Located at 143 Grand Ave in the north end of the Arts District, Textile Studio is housed in a building which dates back to 1850. 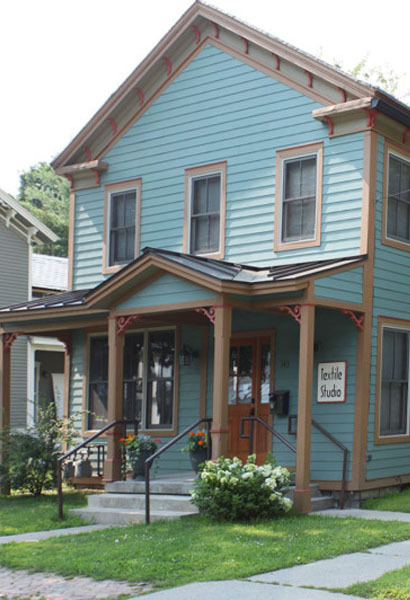 After major renovation, Cecilia Frittelli and Richard Lockwood opened their studio and gallery in 2009. A husband and wife team, they have been involved with textiles for decades. 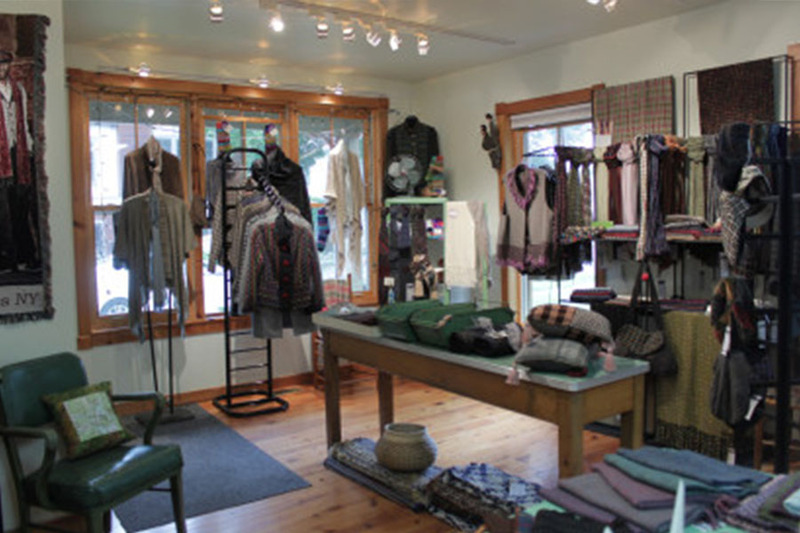 They started their business in New York City in the 80’s and sold to specialty shops and galleries across the country, many of which still carry their line of scarves and neckties today. 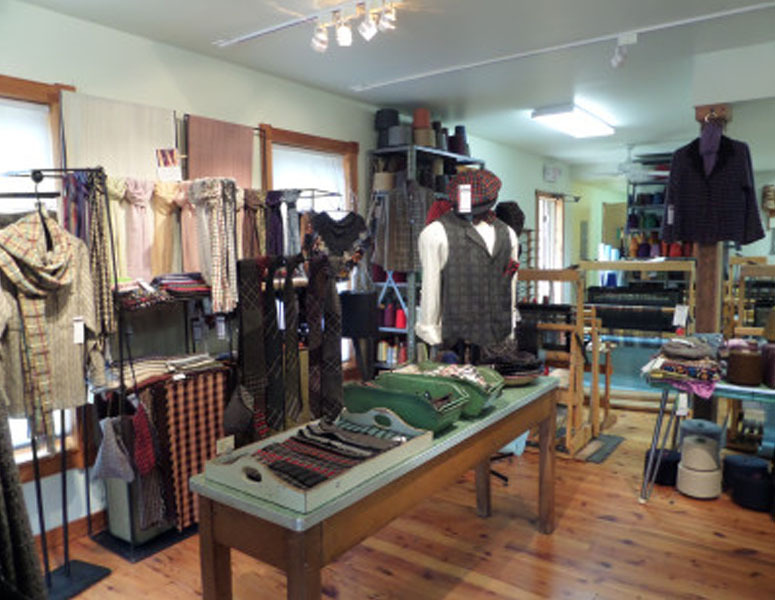 At Textile Studio, visitors can browse their handwoven collection of Frittelli & Lockwood apparel and accessories for men, women, and home while watching weavers at the vintage Macomber looms. The American-spun yarns they weave include silk, merino, alpaca, and chenille, with a special emphasis on eco-friendly fibers from bamboo, hemp, and soy. 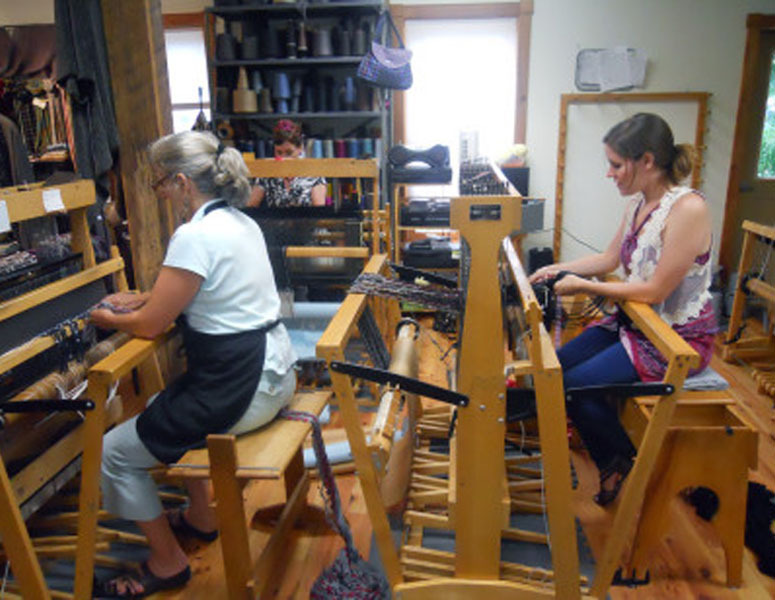 Custom orders are welcome and weaving classes are offered seasonally. Open to the public Wednesdays through Fridays and most Saturdays from 10-5, they are also happy to open by appointment at other times.